PAN TRINBAGO president Beverley Ramsey-Moore, five months into her tenure, remains committed to bringing "prosperity in pan." 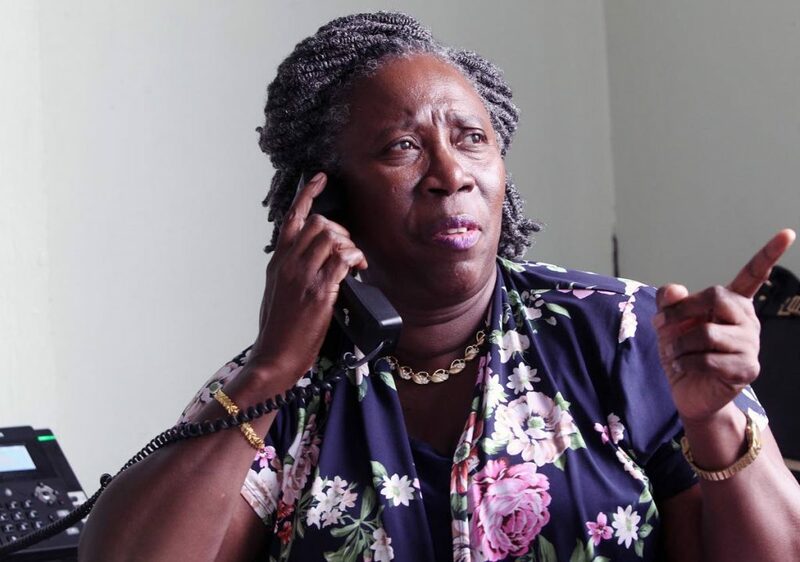 When she became the first female president of the governing body, Pan Trinbago quickly revived the pan factory, which was open for business last month. Her idea of prosperity was not limited to generating income, however, but changing the internal culture of Pan Trinbago. After her election, an outspoken and determined Ramsey-Moore swung into action. She quickly set out to resolve many of the issues plaguing the fraternity, not the least of which has been the perceived absence of transparency and accountability in its operations. Ramsey-Moore also met with representatives of the respective zones to discuss issues affecting them. "It has been a challenge but I enjoy what I do," she said of her stewardship thus far. "I think, more so, as a female who is operating in a male-dominated world, I see certain strengths in me that are coming out. Our way forward was very challenging and I stood up manos-manos. So I am not fearful at all." For Ramsey-Moore, ensuring Pan Trinbago's membership was in tune with her vision was a priority. "I felt that I needed to treat with staff because when there is a culture of 'anything goes,' there are no values of respect. "So I had to hold the organisation together with the executive and settle them down to know that there is a new direction for Pan Trinbago which speaks to prosperity in pan. We all have to be carriers of that vision." Ramsey-Moore also sought to create a stronger community liaison unit with steelbands. "We believe that the focus of Pan Trinbago was really on having its head office with staff. But our business is about servicing our bands." She said the initiative, so far, has worked. Pan Trinbago president Beverley Ramsey-Moore grew up in a steelband family. Her father and seven of her uncles were among the pioneers of Katzenjammers. "We have seen where bands, of themselves, are resilient. I have seen that come out of the single pan competition," she said. "Despite the lack of funding, even though there was a falling-off of bands for this year in the single pan category, we had less bands performing because of the non-payment of the remittances, people didn't see it as a hustle to run to play with a lot of bands. It is about giving your community the best. "Putting those things in place, we have been able to succeed and I am extremely satisfied with how things are going so far." Ramsey-Moore said given the initiatives she has implemented since assuming office, "I am convinced that we are on the right path to growth and development." Long before she created history by becoming the first female president of Pan Trinbago on October 28, 2018, Beverly Ramsey-Moore had a sense of what to expect. Almost two decades before at her first official Pan Trinbago meeting in 2001, she said she observed the organisation being run in a manner not befitting its status, as the world's governing body for pan. "I realised the organisation was being run like a parlour or an informal group," Ramsey-Moore told Newsday. "It was at that time that I began appealing to the membership that if they are to have an organisation, it must be accountable to the membership." Today, five months after receiving her instruments of appointment, Ramsey-Moore feels comforted by the strides her executive has made, mainly in restoring respectability to Pan Trinbago. And while she believes they have also made headway in putting mechanisms in place to bolster transparency within the organisation, streamlining its operations to ensure optimum efficiency remains a work in progress. For now, Ramsey-Moore is satisfied in having presided over what she considers to be an excellent Panorama 2019. "It lived up to my expectations. It did. The huge turnouts in the panyards for the semi-finals and for the finals: it said to me that the people are responding, the people have once again embraced pan and community and we are really grateful for the support." Engaging her attention, though, is the need not only to reduce significantly the time structure for Pan Trinbago's flagship event, Panorama, but to host one of the major competitions in her native Tobago. "The entire country should benefit from the joys of Panorama. They must benefit from that love and community spirit that the pan drives. 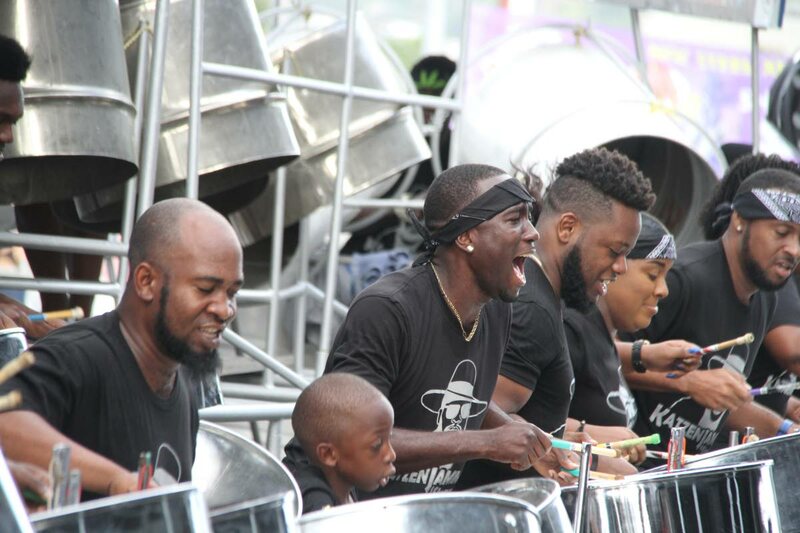 We have the single pan finals in the east, the small band finals in the south and the medium and large in the north at the (Queen's Park) Savannah. "I believe that because the finals goes until 3 o'clock in the morning, which is the medium and large, I think we can separate it and take one of the categories, perhaps the medium, to Tobago. We believe that national support in Tobago will come in a massive way where we will be able to raise more revenue." Ramsey-Moore intends to raise the issue with the Tobago House of Assembly (THA). "As we expand our pan tourism project, I think there will be a buy-in. We have to flesh it out with the THA because it will be a movement of thousands of people from Trinidad to Tobago and a movement of people from Tobago into one space, and I don't think that should pose any challenge for any region in this country." Ramsey-Moore also said aspects of the new North Park, which replaced the North Stand at the Queen's Park Savannah, Port of Spain, must be revisited. "It was tested for the Panorama semis and we have heard the people loudly. We will take their concerns on board and the necessary adjustments will be made. "The people said they did not experience the vibes that the North Stand would normally bring because they could not be up close and personal with the bands; neither could they be up close and personal with their friends. "Pan is about the spirit of the people binding, sharing, jamming – and that they did not enjoy. So it (North Park) was a novel idea and lessons learnt will definitely be addressed." Ramsey-Moore marvels at how much her executive has accomplished after only a few months in office – something she felt she would have never experienced given her turbulent past in the organisation. Rewind to 2009: the Black Rock matriarch, leader of Tobago's oldest band, Katzenjammers Steel Orchestra, was elected to Pan Trinbago's executive. She felt the move would allow her a greater say in assisting to streamline the operations of Pan Trinbago. "I really kept struggling and trying to have the leadership demonstrate that we are more than a Panorama organisation." Three years later, Ramsey-Moore, who frequently locked horns with the Keith Diaz-led Pan Trinbago, resigned "to preserve my integrity and good name." But for raising what she considered to be "red flags" in its operations at that time, Ramsey-Moore was regarded by some as persona non grata within the movement, a label from which she had since rebounded. "We were going down a road and I was really concerned about this 'Tobago girl' good name." Fast forward to October 2018. Ramsey-Moore said she had no intention of contesting the Pan Trinbago's executive elections, let alone the presidency, but was encouraged to do so by the manager of another Tobago band. Ramsey-Moore recalled the manager's words: "Girl, if you are not going, then we will have to chose the best of the worst." The words resonated with her and she vowed to give it a shot. "That troubled my spirit deep down and that night I thought about the organisation and how it can impact and change lives and the role that we play. "I called her the next morning and said, 'I am not going to be a part of choosing the best out of the worst when the best is right here.'" Ramsey-Moore grew up in a steelband family. "When you say Ramsey, you say pan." But while she always loved the instrument, Ramsey-Moore recalled jokingly she was forbidden to go into the panyard, even though the family lived "five footsteps away." Her father and seven of her uncles were among the pioneers of Katzenjammers and, as fate would have it, their love of pan filtered through the generations. "All my siblings and even my children played pan." Many years later, as an administrator for sport and culture in Tobago, Ramsey-Moore would manage Katzenjammers – a decision which further propelled the band to excellence. Katzenjammers has two national medium band Panorama titles under its belt as well as a slew of victories in Tobago. This year, the band placed second in the medium category of the competition. Reply to "Ramsey-Moore looks to Pan prosperity"